The exact color scheme of these Irish rubber ducks may vary. In full disclosure these shamrock rubber ducks float but capsize so you can only hold an upside-down duck race. 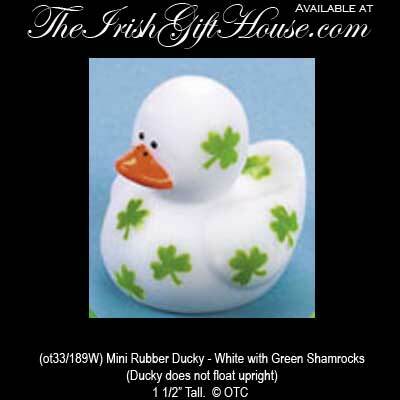 This mini Irish rubber ducky from The Irish Gift House is white with green shamrocks and measures 1 1/2" tall.